In the heart of Original Downtown Aurora, amid historic buildings and multicultural businesses, the East End Arts District is bringing a new and vital element to the revitalization of the city’s historic commercial corridor from Clinton to Geneva streets on East Colfax Avenue. Offering a unique destination where people of all ages and backgrounds can enjoy exciting visual and performing arts, ethnic restaurants, retail shops and quality, affordable housing, the District is building on the area’s strengths—diversity, creativity and civic and cultural pride. Strategically situated only minutes from unprecedented redevelopment projects at Fitzsimons, Stapleton and Lowry, the Arts District is in the center of an “opportunity triangle” for redevelopment and emerging markets. 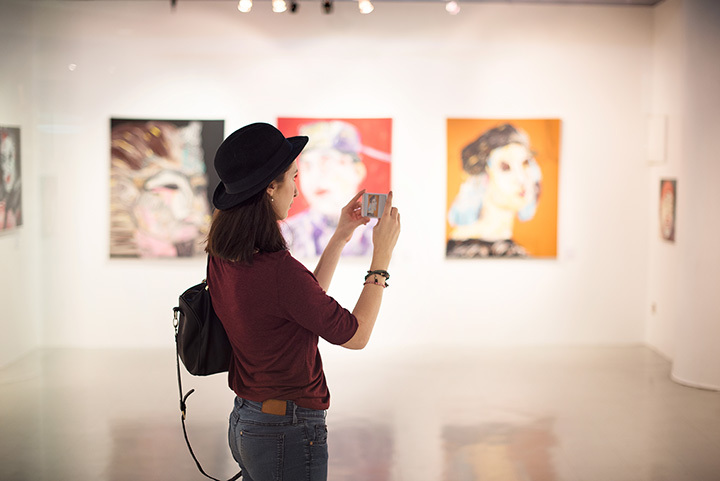 The district hosts two art walks annually and galleries and artist studios are open to the public on the second Friday of every month from 5 – 8 p.m.